Happy Sunday (or Monday if you're in the future! ) everyone! I hope you've been having a good few days. I don't know about you all, but this month has been really busy and I could sure use an update to let me know what's been going on. Let's get started, ok? The semester is nearly over!! Can you believe it? We're heading into week 6 beginning tomorrow. If you're a student, that means to not forget to get to lessons! Your house needs you!! If you're a professor, we're asking you to please not hold off until the very end to grade lessons. Please try to begin getting to it now. The quidditch season began at the beginning of this OOC month with a game between Gryffindor and Ravenclaw. Ravenclaw was victorious, a score of 160 - 20 in that game. And the game between Hufflepuff and Slytherin just began earlier today and finished earlier today too . We encourage you to follow the games, join the stands, and have conversation here about it all. House points will be added to these individual RPers for their houses soon. Congrats! to post your picture in the yearbook! Don't be just a name on the bottom of the page. Take a moment to upload your pictures for inclusion in the yearbook, which will be released at the end of the year. Seventh years, don't forget to reply to your PM from the yearbook staff!! 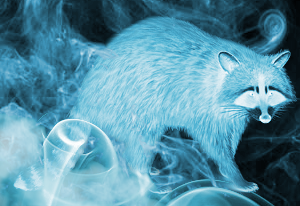 This month's character spotlight belongs to Alex's character Ainslee Cormac. Please take a moment to check out her questionnaire and join us in offering her some congratulations! Last month, we posted a poll asking everyone's opinion on our avatar shape. Well, the results are in! And, as I'm sure you've noticed (or are about to), the winner was the rounded square shape. This update has been implemented and we thank everyone who participated in the democratic process. Soft talk begins to harden - After years in the shadows, Vivian wants more from his relationship with Tristan. "...I want to dance with you." Are there other roleplays in this plotline? What you break is what you get - After years of pain, Vivian exposes Tristan's lies to the whole school. If yes: Please supply links: Soft Talk Begins To Harden, and all the threads associated with that highlight. Some fun career related stuff! That was a nice update! I'll be back in two weeks for the next update! I'm looking forward to it and hope you are too! I don't remember submitting my plot to be highlighted, but it was the highlight of my day to see it on the bi-weekly update (especially considering all the other drama going on with the boys )Thanks! And thanks for the update, Cyndi! Can't believe how quickly the semester has gone! Thanks for the update Cyndi! I have a question though, why does it still says September on the bottom of the board? Congrats to the winners of the Halloween's Feast! Thanks for the update, Cyndi! Thank you for the update Cyndi!! Congrats to the Halloween costume winners! I really enjoyed the April Fool's day joke a lot too! Because the admin have been busy in RL and sometimes really small things like that get pushed to the sidelines. 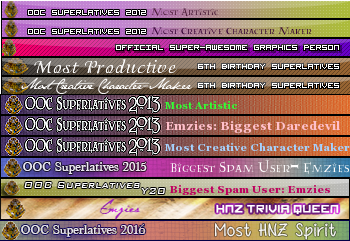 At any rate, it's been updated, and I encourage you to take a look at the completely updated calendar for information about HNZ's timeline. I thought it updated with the calendar. Thanks for posting Cyndicat and for all the hard work gone into the semester! Can't believe it's flown by so quickly. I'm so excited about the Tristan/Vivian plots! I've been watching and hoping for Tristan's downfall for so long . . .